Dirt gets stirred up as US Army Pfc. 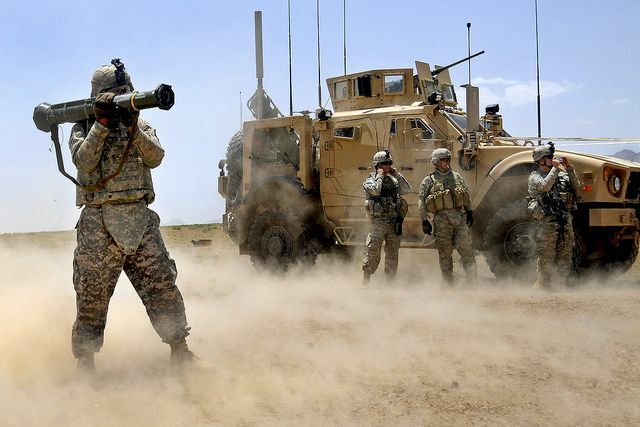 Erik Tyson, of 2nd Platoon, Delta Company, 1st Battalion, 4th Infantry Regiment, US Army Europe, fires an AT-4 anti-tank rocket during a live-fire exercise outside Combat Outpost Sangar in Zabul province, Afghanistan, on July 1, 2010. Photo via the US Army by Spc. Eric Cabral.